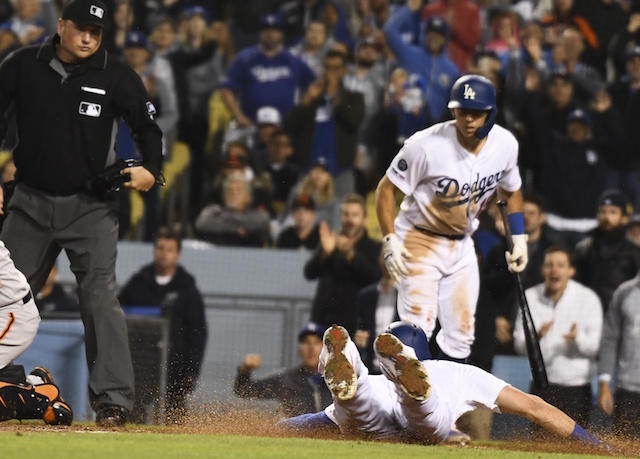 The Los Angeles Dodgers won their second series in as many tries to begin the season, coming back to defeat the San Francisco Giants to improve to 5-2 on the year. As has been the case with plenty of frequency so far this season, the Dodgers did not waste any time getting on the scoreboard. The latest honor went to Kiké Hernandez, launched a leadoff home run off Derek Holland to begin the bottom of the first. 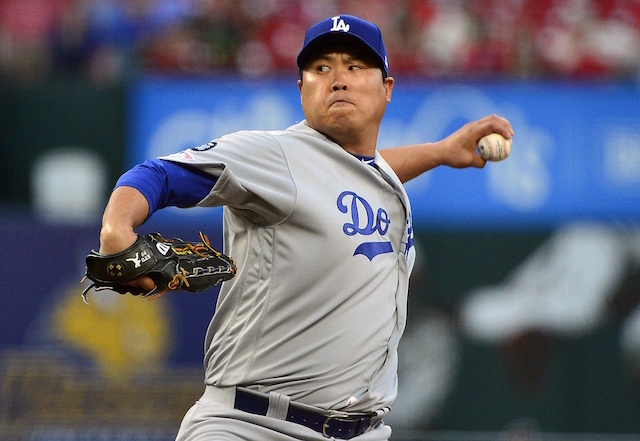 The homer not only gave them an early lead, but it was a milestone one for the Dodgers. They have now hit at least one home run in each of their first seven games to begin a season, which broke a tie with the 1954 Brooklyn team to set a new franchise record. Hernandez finished the night 2-for-3 with a walk and is now batting .435/.500/.870 with three home runs on the young season. 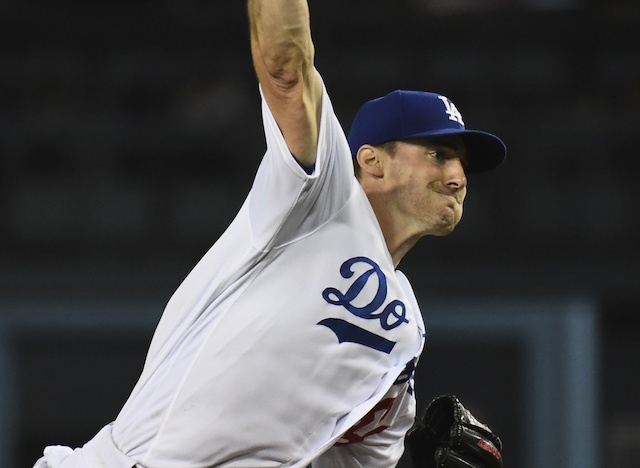 The big swing of the night came off the bat of David Freese when the Dodgers were trailing 3-2 in the bottom of the seventh. Austin Barnes led off the inning with a double to left, and then Hernandez reached on a walk with one out to put the go-ahead run on base. Freese battled against tough right-handed reliever Reyes Moranta and wound up going with an outside fastball to hit a two-run double off the right-center field wall to give the Dodgers a 4-3 lead. 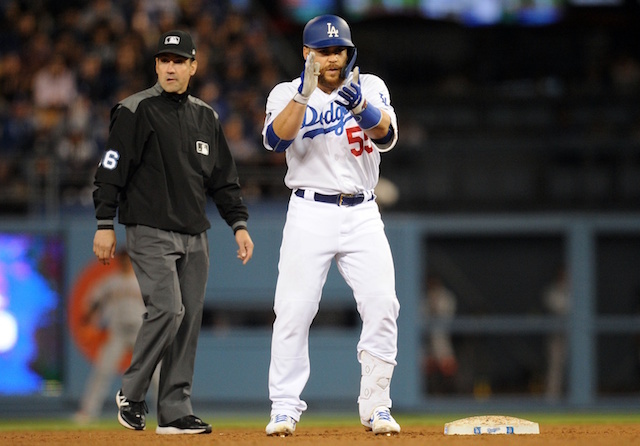 The Dodgers then added some insurance in the bottom of the eighth when Cody Bellinger reached on an infield single and scored on a double by Chris Taylor. That proved to be not necessarily needed as Kenley Jansen tossed a 1-2-3 ninth to close out the victory.